73% health, clean the room, outside in the middle of the morning it’s light fog. Should I bet it’ll stay like this all day long? I do. Full stomach, FL-15 outside just before noon, but I’d like to finish in the muskeg in late afternoon, in case I have to dance with wolves, which is a certainty. While leaving, I look at Trapper’s: will I ever see this place again? 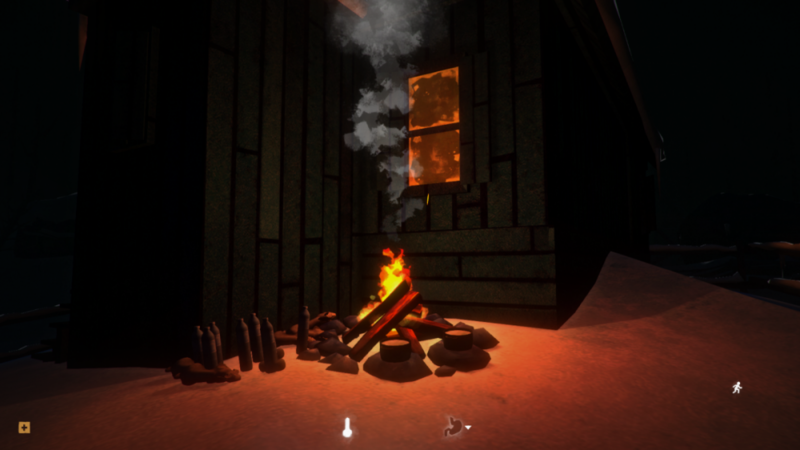 At the Rail Tunnel, no loot, match-torch fire purely for its warmth, warmup porkandbeans. Some calories might not be used, but I need the warmup. Lose 7% to hyporisk while waiting coal possibility (-.5%/minute of hyporisk) Switch the canned food for a rose hips tea, since I found 24. Mid afternoon, outside temp is an excellent FL-8, it’s time to leave. Grab 3 torches for 3 new sticks, finally go for canned food since it’s loosing only 100 calories and gaining some weight. FL-7 in the Muskeg, that’s exactly what I was waiting for (BareSkin7 lesson). I of course sprain an ankle as soon as I arrive, it's about tradition, and treat eat immediately. I have to face hyporisk just before the abandoned houses, but the TLD gods like me today, they like my bravery: they give me sun just at this moment. I use accelerant and go back to positive FL. I pull 4 50% torches from the fire, is this value tied to how advanced you are in the day? 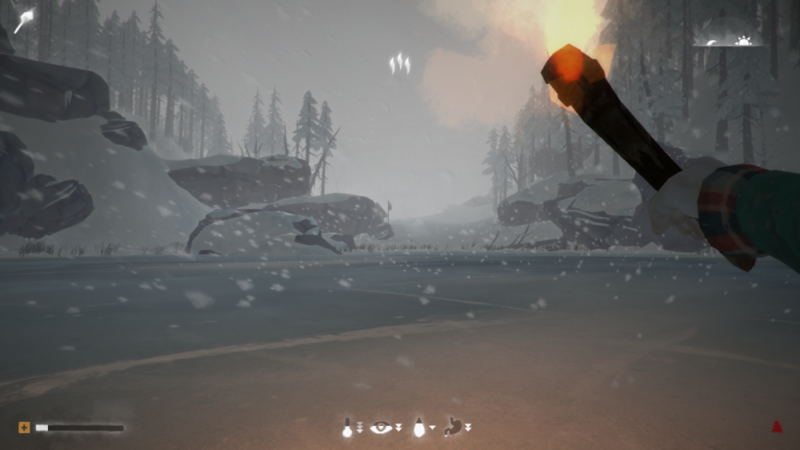 I light the furnace politely with this maglens fire I took with me, not even spent a match in the Muskeg! 64% health. Drop a coal, go sleep 1h to warm up. Can’t loot when I wake up: it’s too dark. Midnight loot: useless quality tools, useless combat boots, 4 aqua tablets, 2* 80% dog food immediately eaten, coal and reclaimed. Sexwing Primer, cloth and matches on the bench, didn’t take the prybar just to open the locker, which anyway must be empty (or have the regular Coat I didn’t find?). In the morning, I continue forging, I’m calculating that maybe working exhausted could be a good idea, seeing the time left on the forge (4h+16coals), and since my exhaustion rate is one notch higher than on Interloper. 72% health, I can afford to lose some if it’s traded for arrowheads. I decide it would be a wrong move since I’m on full stomach, and go sleep 2h after my second knife. In the safe, I find ragged jeans and thin wool sweater, both useless. I grab a torch and use the reclaimed wood near the deer carcass, I want its hide for a second pant. Wolves are howling nearby so I’m super careful and always ready to sprint back to the forge. 2 wolves, got barked at by one as soon as I see them. 1h later, next try: same result. I’ll leave this deer alone. I brake crates to extend the fire time. I have to use my cattails stock before sleeping. 77% health. Third attempt at the deer: same result. Harvest the toolbox and make some more arrowheads, and hope tomorrow will be nice, else I’ll have to face a fuel problem. I'd guess you'd better try on at least level 3, since I made my way -not easily, but sill- on level 1 and couldn't achieve what Kermit is doing. If you take this challenge, I hope you'll report on the forums, we're all passionate about Kermit . About HL adaptation, there are several proposals in the OP. Forbidding calories-activities when you don't have calories would fix a big hole in Interloper. The sleep-heal thing is another matter and is subject to more philosophical point of view in terms of gameplay. If we could just apply the standard recovery rate while sleeping, I'm not sure I would have to use Custom Settings anymore. 78% health, I use my calories to brake planks to keep the fire going. I want to keep at least 3 coals if possible, for the trip back. The weather is nice in the morning, but I can’t possibly go in FL-24. 1h later, strong winds coming from Mystery Lake. I read Sewing book. 12 cattails left. Then 11. Then 10. The 5h book is finish, my reclaimed too. Mid afternoon, the winds turned but come from where I would be exposed. I feel the stress of dying here crawling in my brain. 1h sleep later, the winds died a bit. That’s my chance. 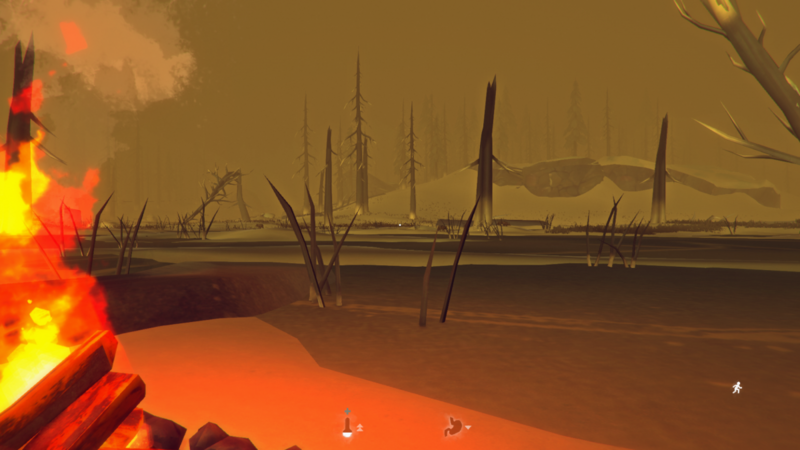 I’ll have to shortcut the Muskeg, too late to make the safe detour, but we can see clearly so I guess it could be OK. Grab 4 torches and go, FL-8. Every dark wood block looks like a wolf. It’s horribly stressful. High blind: survive the outdoors. Great timing finding this. Grandma’s fog now: the TLD gods like my bravery a lot. 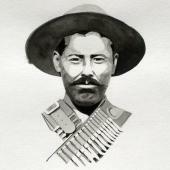 Avoid a wolf, see the railroad: pause for a warmup while my last torch is not finished. I see 3 wolves while waiting to put a coal inside the fire. Can’t stay here until being fully warmed up, else I’ll end up in pitch dark night. When 2 of the wolves are far on their patrol, I go straight to the railway to avoid the third one, and behind the railway I head to Mystery Lake. I have to wait and dance a bit more before the tunnel with a 4th wolf. When I start my fire in the Milton cave, I’m at 67%, I lost 13% during the trip, not too bad for a day 44 trip. I’m so glad to enter Trapper’s again, alive. Rabbitfest tonight, then sleep until morning. The big safe is 10kg, the small plastic container is 15kg.. go figure… I switch my sticks to the plastic. Sticks runs, process rabbits, start curing some more guts, begin making arrows and heal a bit finishing the Firemaking book. Usual morning maglens, daily chores, 65% health. 72% health, finish the bow and craft some more arrows, I take all my time making them really good, because it’s a blizzard day. I’m quite surprised Cabin Fever didn’t pop up yet. Blizzard stops in the evening, short stick run to Max with my new weapon: there’s no wolf, but only branches, I can’t afford the time for branches. Craft more arrows while waiting the sun. Doesn’t come. 78% health, repair the second wool scarf which is at 41%, my stockpile of water and cooked meat is out but the weather is foggy. Also repair the Light Shell (only coat at 1 cloth repair price?) since I didn’t find a better one at the Spencer’s (Where was Mark? ), both with a fishing tackle even tho I have spare sewing kits. I like the “survival” feel of the tackle. I drop my 1% ruined sport socks near my bed, for decorative purposes. Sunlight at noon, do my chores. Strong winds in the evening forbid me to go on stick run at Max. The idea was, as a bonus mission, to sacrifice a rabbit there to get a wolf pelt. 85% health, the blizzard helps since you do nothing. The blizzard broke 3 snares. Or maybe they are snares that have been made at the same time? Who knows? And, more important, who cares? (Note from the future: @Drifter Man cares) Clear skies before noon, that’s the start of my daily chores: cooking and water. Once finished I’m down to 8 sticks, but every stick spent on cooking and water is well spent. The strong winds die mid-afternoon: that’s my chance to the unnamed pond. Make some tea and grab some cattails stalks and 3L water, eat rabbit meat and leave the place. Hacksaw (what name, after Catherine and Sophie? Let’s go for Emily) and simple tools at the Blind, it starts snowing, I spend a match near the deer carcass, 1h40 fire need to get to positive FL, but not for long since temperatures are dropping. Hacksaw the meat, cook-eat on site, wolf howling in direction of the Cabin. Blizzard kicks in, ****! Drink a reishi I just prepared, leave everything here, since there’s a wolf and I don’t want to be smelly, the fire is blown out already. I truly fear I’ll die in this blizzard, can’t find this goddam cabin, am I too high? I remember it not being on a slope, I go down, I see its toilets, I run to the protected shelter. Lost only 3% hypo, which is not a heavy price for the situation I was in. Loot in the cabin: tinderbooks, a Tuke!!! !, 4% nuts and stuff. “I could eat anything”. Really Mackie, even at 4%? don’t be stupid… OK, let’s try… no food poisoning, nice. I don’t grab the cloth to repair the Tuke yet, cause I need my calories to sleep. At midnight, can’t do anything, pitch dark and snowing, stomach is empty, I get the cloth but can’t repair the Tuke, too dark. An aurora kicks in outside, I grab some sticks, I really fear the wolves, no idea if it’s a patrolling zone. At least I can repair the tuke, that’s a flat +2°C compared to a new wool scarf. I brake a chair, I’ll need fuel whatever I do. I light up the radio for the first time in TLD: nice jazzy piano. I would like it if I was not starved. This is the perfect place for discussing it if your want to, I knew it would be part of the thread as soon as I didn't follow @JAFO suggestion to move the thread to general forums. That's actually the reverse thing, you'll have to support the thread being a discussion about Sleepwalker mode if you want only to follow the adventure . I'm sorry OK? I did not know Jack McJacketyFace had a family! Man, it took a long time to read up your current sleepwalker but it was well worth it, thanks for sharing. I'm impressed by how well you jumped from a green interloper to a harder custom mode and made it. Specially spawning in HRV, which killed my two retired survivors when vigilant flame came out. I know how hard is was to navigate that region without a map, props to you my friend. Great writing as well! 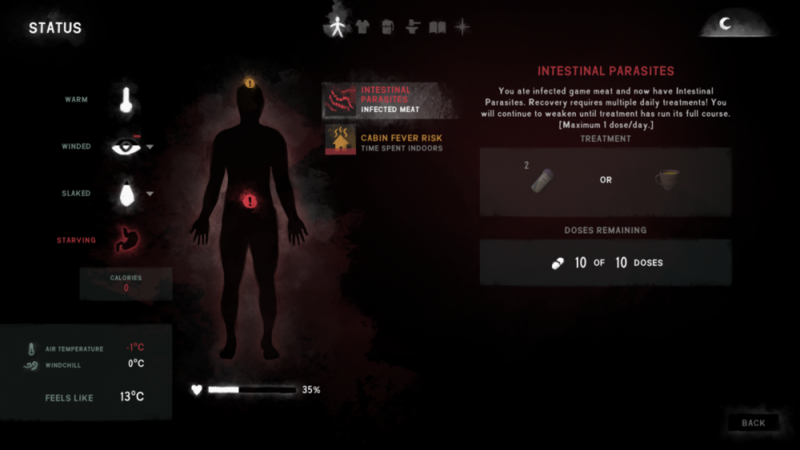 The fact that this brings slight health regen while fed and none at rest, is a great feature and counter to the starvation exploit. I wish regular interloper had this. I might give this mode a go as well. I also see you are another trapping adept, I've been experimenting with it in my loper saves. I'm definitely not good at it. He knew the risks of a solo career. He wanted all the fame for himself, and died selfishly, the TLD way. RIP Jack. I know how hard is was to navigate that region without a map, props to you my friend. Great writing as well! On level 1 the day is easier, the night is harder. I regret I did not make a Sleepwalker level 6.5 in the OP, where you keep the 4 needs the same as in Interloper. The "Very High" calorie rate burn is really punishing when you sleepwalk (right, a bit less than when you're a deadman). Thanks for reading, the harder part would be if I did this for not being read . Alright-y then. You called for it. Imho all of the different mod(e)s regarding this make the game essentially harder. That's fair if you want a harder game, but it's not actually a perfect solution to the problem in that it fixes the problem and still retains overall difficulty. The root of the problem is two-fold. On one side the game rewards you for counter-intuitive game play. Starving yourself should have heavily detrimental effects, if not short term then long term. Long term is not really possible how the game's system works. Again ... there are unsupported alterations to the game that make this possible, but I won't discuss those en detail since I generally share HL's stance on them. Short term: starvation causes damage. And an effective way to combat just suffering through starvation and then replenish the damage by sleeping it off would be raising starvation damage in general. Lowering recovery actually turns on a lot of screws - all those that can cause damage in fact - at once. While I share your stance that recovery is too powerful most of the time (bitten by wolf? Take a nap!) attacking all those problems at once is dangerous from a balancing perspective. If you just want to tackle starvation.... that's the screw you have to turn. But that's a screw custom games don't offer you - so you do the only thing you can and lower recovery and balance around that turning other screws. And I feel like you do a good job at that. But let's look what HL could do. Lets say they raise starvation damage to a point where starving 4 hours would equal 8 hours of uninterrupted rest. That would prevent just starving yourself through a quarter of the day as you would effectively never regain any condition you lost to any other source of damage for just starving half of the day. This would retain a "mild" hibernation, but would raise the minimum calorie intake to ~1900 - which is a sensible minimum for a grown up person. 10 But that would not only solve the part about using a counter-intuitive mechanic, it would also increase game difficulty. And that's the second part of the problem: Interloper is tuned so that it requires you to starve yourself. I'm not tackling the other modes here. But to make Interloper the challenge it is a lot of screw have to be turned the way they are to compensate for starvation advantage. So in essence: By making starving possible and by wanting to create a challenging experience it makes starvation mandatory. The solution to the problem however is harder that you might think. You could just raise starvation damage, but that would require you to compensate. The obvious choice would be to raise the availability for food, say twice the food loot and twice the meat from game. Fine. But that also would affect carry capacity. But more carry capacity could be used to haul more loot, carry more firewood, more weapons, etc. 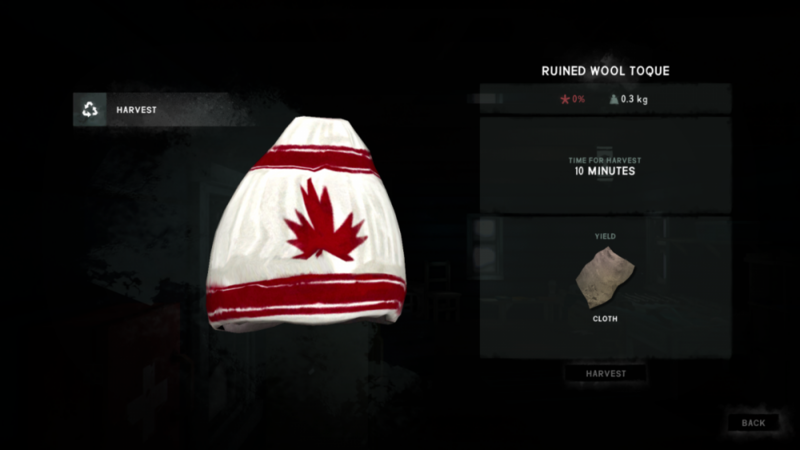 Just look how much the Moose Hide Satchel changes how you play the game. Alternatively you can just raise the calorie count per food, sure, but that would make you end up with 1000 calorie energy bars - which isn't a perfect solution either, or half the amount of calories you need - also far from perfect. Another way is to actually compensate by turning other screws that are not directly related. That might result in the same overall difficulty level, but would change focus - plus it's really really hard to do balancing when you basically turn all screws and pull all levers at once. So I actually understand HL's hesitancy to tackle the problem. Just preventing activities from being executed when starved is something I believe goes in the right direction, but probably wouldn't fix long term starvation-hibernation scenarios. Better would be to directly like the amount of starvation damage you take to the calories you are "missing" performing your action. So walking hurts or than standing and breaking a shelf really takes the pain to you. What you do with sleepwalking goes in the direction of "compensating other areas". Less freezing, less calorie burn rate. That's actually hard to do properly, but you do a good job at it. I personally would still keep "Rest as a resource" because it gives incentive to do things, and also sleeping has a much lower calorie burn rate. So while not allowing starvation, it rewards the player for not doing anything. But I also get that "running in circles" is stupid. But all that being said: Just not eating a day never killed anyone. So I guess a body fat / hunger system (not my idea) would be the way to go, with lower overall calorie burn and better heat resiliency as long as your body stays saturated, but higher burns when it compensates for periods of starvation and faster freezing when body fat is low, and at a certain point rather rapid degradation of overall physical condition. Because that's what happens in real life. I guess bottom line what I am trying to say: your approach to the entire problem is among the best solutions I can think of inside the bounds of what the game allows, but it's not a "perfect" solution which could be achieved with more screws, more levers and a better system how to handle calories in general. 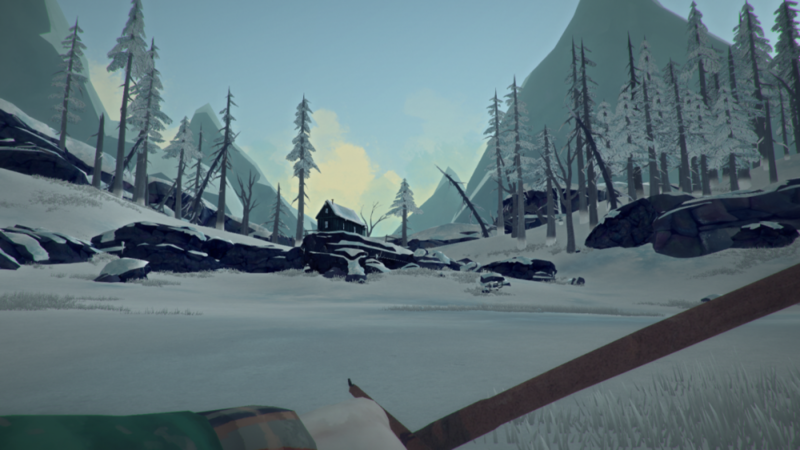 Blizzard in the morning (24th), I wait making arrows and healing a bit with rabbit cooked yesterday. I’m quite surprised I didn’t get a cabin fever warning yet, is this functionality broken in Custom Settings? I read Frozen Angler mainly for fun passing time, I won’t fish. Eventually, it ends up in a full day of blizzard. 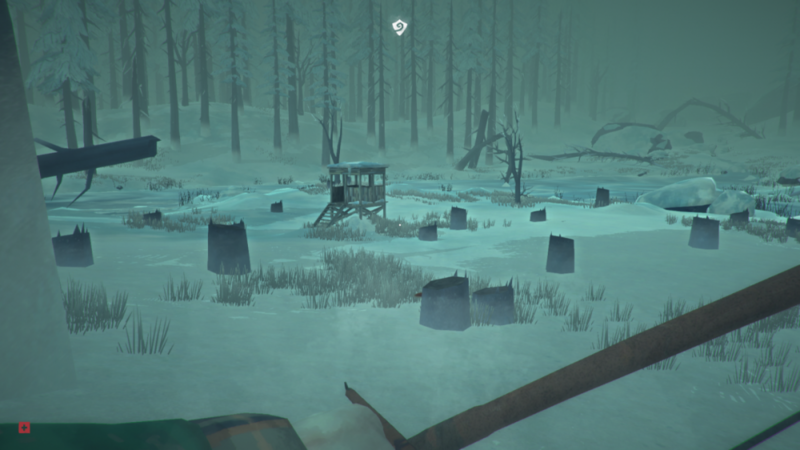 Last hour daylight: light snow, FL-13, I try to go for sticks going towards deadfall, the rabbit is here but not the wolf, I have to run back to Trapper’s with 9 sticks. I avoid losing health sleepwalking thanks to the last 3 cooked rabbit steaks (1600 calories). I’m thinking maybe a trip to the unnamed pond cabin would produce some fuel, and second deerskin pants. That would require a sunny day. 100% maglens in the morning feels great, thanks to tinderbook. I make some water in case I can’t leave this place today. 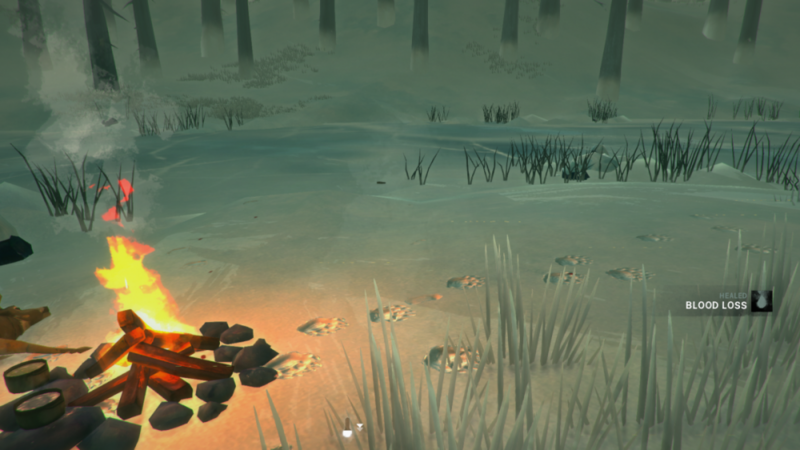 In my one can, of course… So, maybe I’d better pull out torches and restart the fire near the deer? Can I go there without freezing? I have to think quickly. No, the warm temperatures are more valuable than a match, I’ll wait at least noon before moving. But I still do 3 more torches. I spend time using tempbar for braking branches. The winds come from Trapper’s anyway, so I don’t have to make a hard decision. At 11 the weather turn bad, strong winds and cloudy. Let’s hope the coming blizzard will end before dark. There’s rabbit nearby now, next tempbar is for him. He disappears in the meantime, smart guy. Next tempbar is at noon, the weather is nice (FL-18), I move towards the Pond. Bear sounds before I reach the top of the hill, I run back to the cabin. The rabbit is back, I miss my stone shot on him. Next tempbar I’ll go to the pond but from the hills. I have enough fuel for this move. 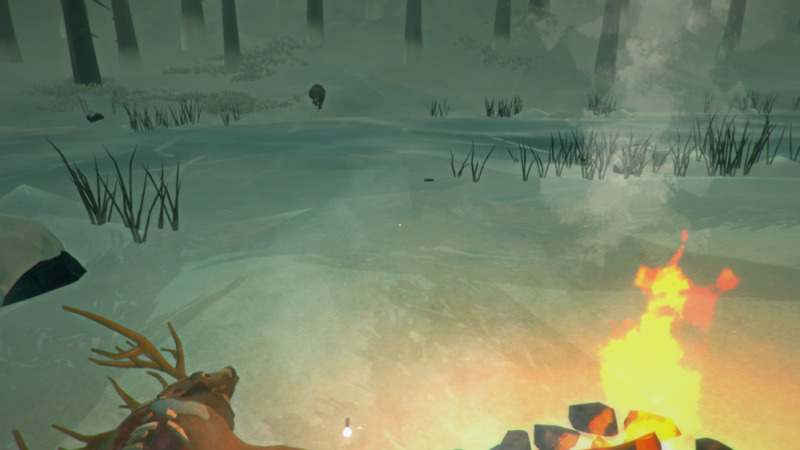 Arriving at the Pond, I find it as I left it, the bear doesn’t like raw deer it seems. I can hear its footsteps, but can’t make eye-contact, is it bugged somewhere? Good Grandma’s fog tonight ( @Pillock I know you like it, I just read your post on “are dying”, today is 21st october). I’m carcassing level 4 so after few minutes I can take the hide barehands. 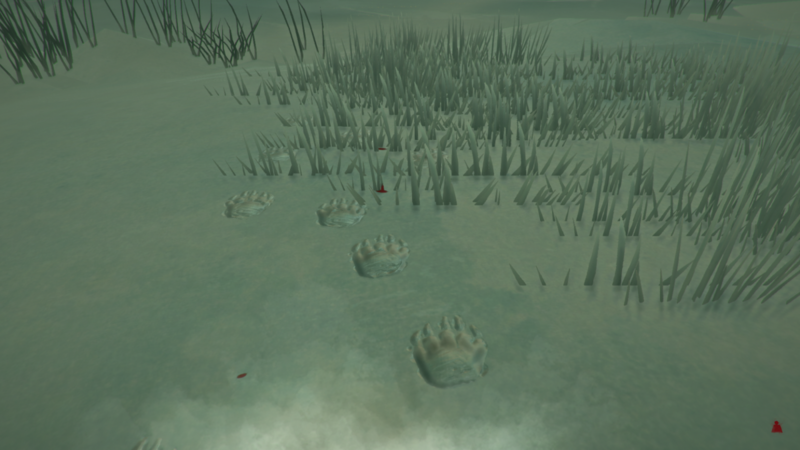 For whatever reason, after I finish stealing the hide, the bear finally spawns in front of me. It’s seriously bugged, Hinterland. I of course take my chance at it... and.. headshot! Oops, it doesn’t drop dead as I thought, and.. he’s a bit angry it seems… no worry, I’m near my fire, I’ll just put it in its trajectory to me. Hum, doesn’t work, it seems, since the big thing is running through it to catch me. Lesson learned. I'm getting mauled for at least 2 eternities, will it ever end? It doesn’t... I apply OMB and bandage as soon as I can, and assess the situation: the blood loss is not a big deal, the wolves fear the fire. But I’d better leave the place asap, since the bear could maul me again. I run everything I can, overweighted due to Fatigue, and make it miraculously to Trapper’s before freezing. 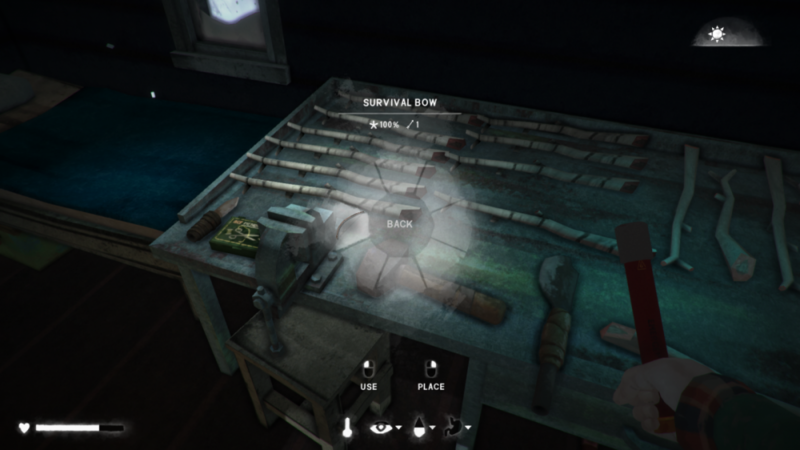 Drop all heavy tools, go outside light a fire with my torch, start water, enter my home again, open my inventory… Ohhhh nooooooo! He took one of my arrows AND my brand new tuke? I’m very angry. BUT… I’m alive, and that’s already something. I hope the bear is dying somewhere. I go sleepwalk 9h+2h. You're not alone to pinpoint this thing, but like @Drifter Man, you're well placed to understand than doing nothing is dying. I can assure you on sleepwalking I've overslept only to wait through a blizzard, and with even with "Rest as resource" active, I would have done nothing believe me. I wouldn't mind reactivating Rest as a resource actually, that wouldn't change my behavior a bit, since I try to sleep the less possible time. There's another thread where Sleepwalking difficulty is compared to Interloper and judged harder, which is true I think since that was my main goal (I'm selfish and developed the mode for myself, I admit), but anyone can still disable "Sleeping Recovery" and sleepwalk with the depletion rates of the 4 needs set to "medium" or even "Very low". Some kind of Sleepwalker Lite, which could be judged as equivalent to Interloper in difficulty. 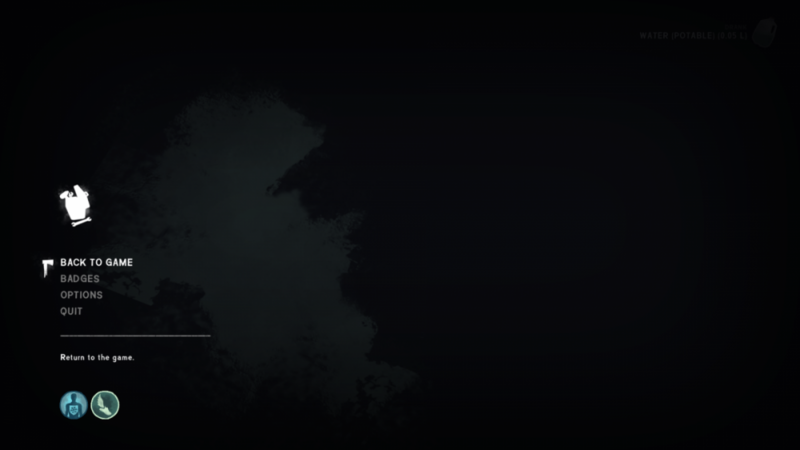 Take Stalker template, just disable Rest as a Resource, I'm pretty sure you got a nice Interloper. Thank you for this comment, I tried my best without asking for changes in the code. 2/ Instead of just punishing the Fatigue bar (-50% for staying starved for long time) after some hours of starvation, I would lower the capacities of ALL bars from the first hour starved. I bet any interlopist that sees his Warmth bar capacity (which is our main weapon) decrease with a "Red Minus" above it would not try starvation for a long time, believe me... Same for the Thirst, since it would reduce the healing capacity immediately. 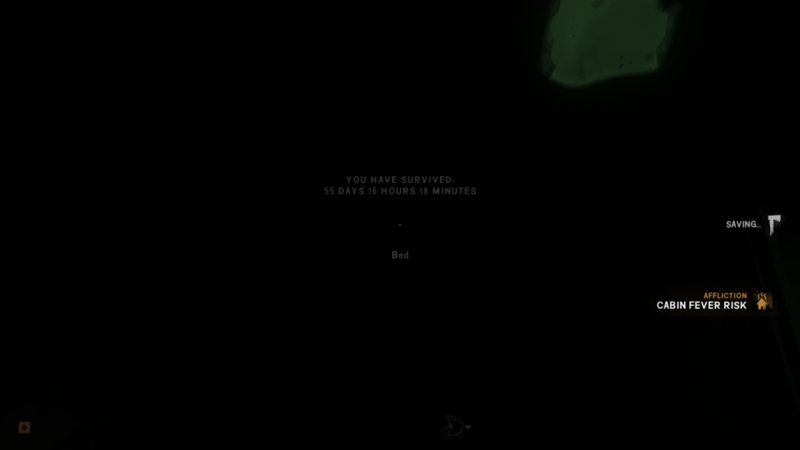 I took Bareskin 15 to the ends of interloper starvation, and honestly the price is not that huge: -1%/h health, and I have to make my day with only half a Fatigue bar? Not a big deal, since the cold prevents me from spending this Fatigue bar anyway... In such extremes I end up eating 750 calories every odd night. 325 calories per day sounds a bit too low. I will live to see the days of lamentation for losing a wool toque be gone forever! You are a mensch for hunting the bear face to face, I'm more of a hunting blind/rock ledge kinda bear hunter. I was sure as hell the fire would protect me. Like, I literally bet my virtual life on it, not even thinking I might be wrong. But I was. Still learning the mechanics. Instead of just punishing the Fatigue bar (-50% for staying starved for long time) after some hours of starvation, I would lower the capacities of ALL bars from the first hour starved. I bet any interlopist that sees his Warmth bar capacity (which is our main weapon) decrease with a "Red Minus" above it would not try starvation for a long time, believe me... Same for the Thirst, since it would reduce the healing capacity immediately. That's actually a good point of attack. It would still not prevent super deep hibernation where you literally do nothing 23 hours of the day, but it would make it impractical to starve while actually "playing". Hum, doesn’t work, it seems, since the big thing is running through it to catch me. Lesson learned. Yeah, can relate. The exact thing happened to me a good while ago. It's earth shattering to see that mountain of meat run through the fire that you thought was your impenetrable shield. 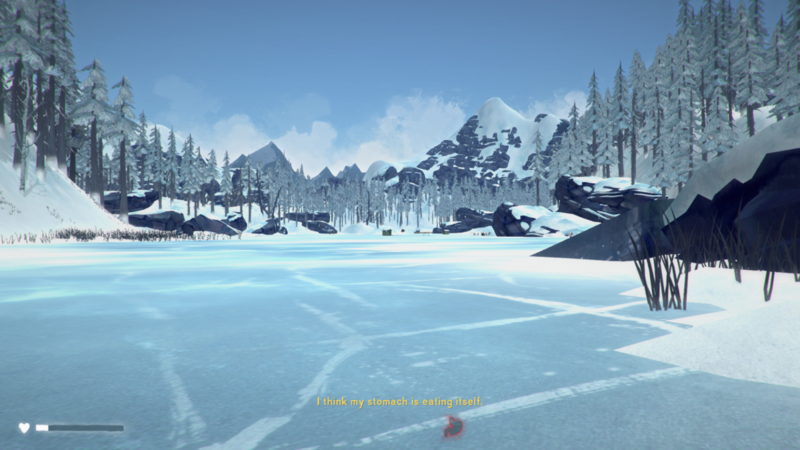 Arriving at the Pond, I find it as I left it, the bear doesn’t like raw deer it seems. I can hear its footsteps, but can’t make eye-contact, is it bugged somewhere? This happened to me too, once, also at Unnamed Pond. I could hear the bear but it wasn't anywhere. I decided to leave - fast. Great run, wish you quick recovery! Or rather, the quickest recovery your sleepwalker mode allows. I'm sorry I haven't been following lately... will have to catch up with all the new content around here. Level 1 allows for 1%/h with all needs satisfied (except on sleeping of course, where it's zero). Next run I'll try my chances at 0.25%, which will tend to make my behavior much more conservative, a bit like a deadman. I guess CF will be the main problem of the recovery. Should anyone hit that button after being mauled? I wake up in an horrible sensation, sweating and horrified, like every time I try to sleep : I was mauled by a bear in my dreams. Terrifying. I want to stand up, but my body is suffering a lot, for real. God, I realize I WAS mauled by a bear. Oh, man! I’m really at 24% health! And I really lost my tuke! I start to cry. OK, life goes on, for once I use Catherine to get the meat of the four collected rabbits, can’t afford to wait for them to thaw. Eat, repair my outer shell twice (+60%, 2h10m). I’ll have to repair the rabbitskin mitts twice too, I should launch some more guts curing. Sticks run near the Milton cave in grandma’s evening fog. Morning maglens fire, and I regret it: the fuel is so rare now, I should wait for an evening fire, else I can’t stay near it and lose the temperature time bonus while I'm indoors. Lesson learned: don’t do anything before noon. 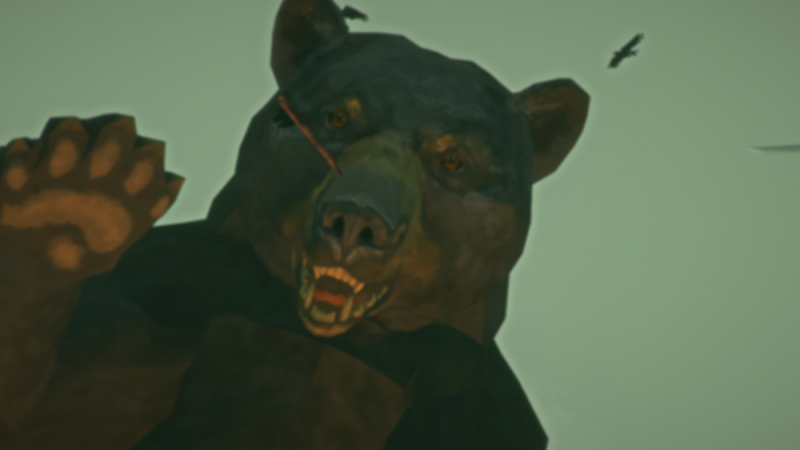 It’s the perfect weather today to go on a bear-carcass hunt: medium fog, no winds. I burn my last sticks on cooking and adding 3.5L water to my stockpile. You never get too much. I decide I’ll repair the Mackinaw spending 2cloths, else I loose mobility, which I desperately need if I look for the dead bear. It fails, I feel cursed. I decide I'll go check the bear anyway, but as I eat some rabbit, strong winds arrive and kills all my projects. 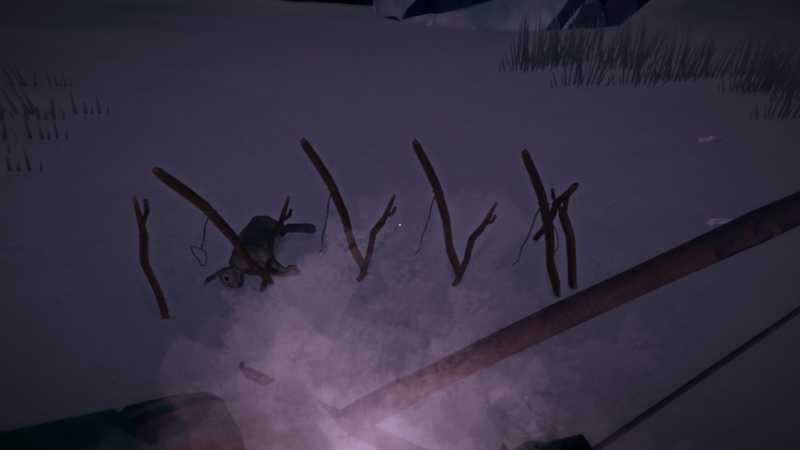 I brake nearby respawned branches, hear a rabbit, I leave it alive since I have no fuel to cook it, and anyway it’ll end up in the snare sooner or later. Health 27%, morning blizzard, I work at the bench on arrows. 2 branches near Max. Evening maglens and chores. Sticks respawn on morning, run for it despite the use of calories, then morning blizzard. Lost 2 snares during the night. Use my last cured gut to make a new one. Now I’ll have to wait more to repair the mitts, but I made the choice, I face the consequences. Wake up at noon with 34% health, the fuel is the main problem. I would like to rest and heal, but doing nothing is dying. I repair my light shell to 98%. Then one thin wool sweater to 95% waiting for the blizzard to end, then go to the second rabbit ground under a light snow. Usually it's for nothing, but today there’s a rabbit and a wolf! I drive the rabbit with my body, then with stones, but the wolf is facing the other way. Strangely enough, I hear a bark, but the wolf didn’t turn… OMG, there’s a second wolf on my right hand, he barks at me! I immediately change my stones for my bow while moonwalking, it hesitates a few seconds, but since the rabbit approaches and I’m going away, it jumps on the rabbit. I adjust my target, then loose my arrow: it hits, but it’s not a headshot. 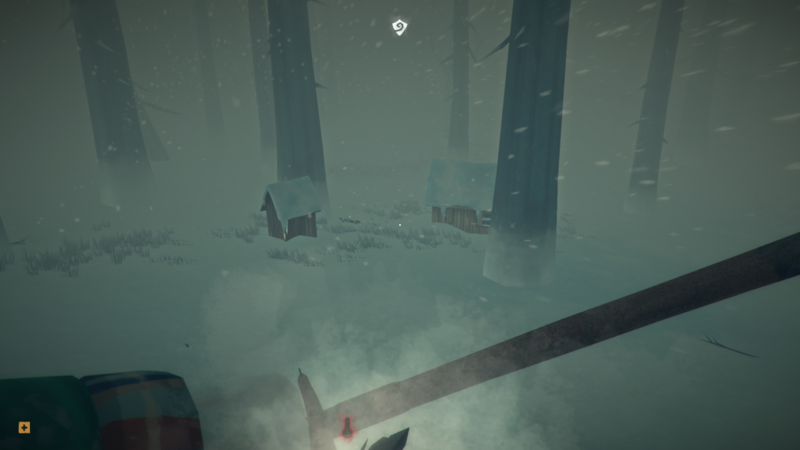 The wolf runs towards to opposite side (to the Tunnel), I immediately run back to Trapper’s, but still lose 3% health to the cold (33%). Milton cave at noon light produces only one coal, not even worth the fatigue I spent for it… Outside, I find the rabbit the wolf killed, but no wolf, no blood traces. No arrow. No Crows. I hate the world. Sleep one hour in the Milton cave: CF 78%. Next try, I find the wolf carcass, hidden behind a tree. It’s on a slope. I grab my arrow but can’t make a fire, quartering takes too long in this cold: I go back to Trapper’s and I’ll have to wait for better weather without winds. CF 82%, will I be dead by tomorrow morning? 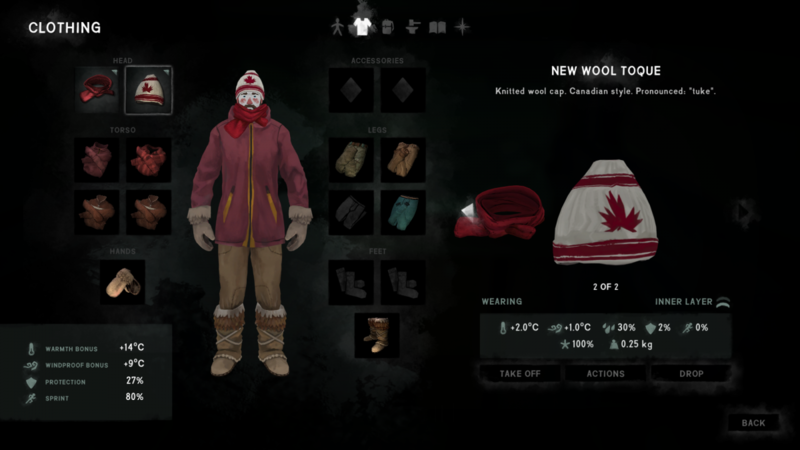 I have 15 sticks and 4 cloths (+harvestable) but… I’d so much better prefer to spend them on repairing my second sweater insteand of a Shelter… I could also spend a coal in a nighttime cooking session. It’s hard no to panic. Since the game just gave me one coal and I have some meat to cook, I opt for this. 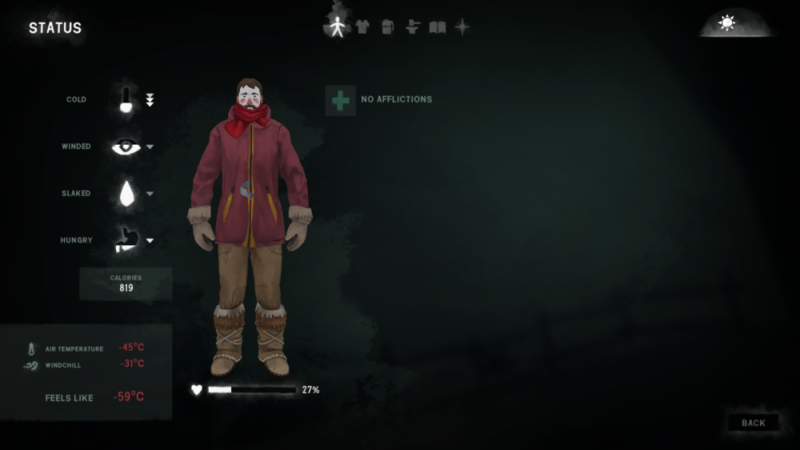 While waiting to put the coal in the fire, I change my mind about the deer hides: I have everything I need for making a pants, but keeping the Combat pants and repairing the 50% boots would make more short-term results (temp bonus). 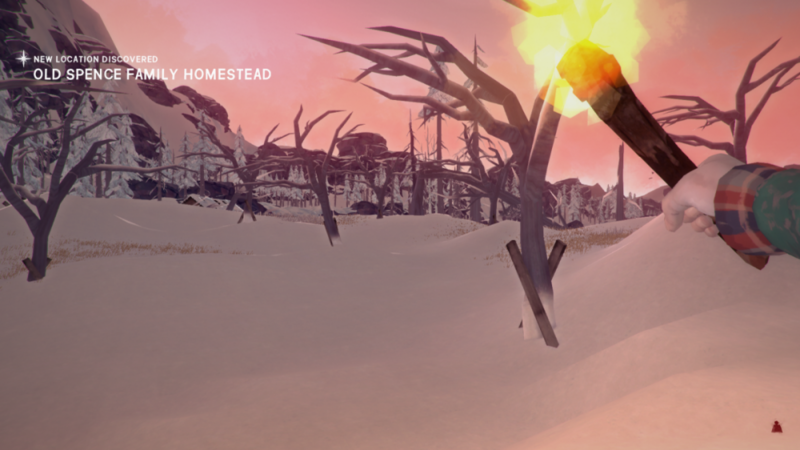 I sleep 3h near the fire, harvest torches to feed it, go grab the freshly cured guts, repair the mitts since its 43min and the boots are 2h+ (+19 temp bonus). Few hours before dawn, I have to move inside with cabin fever lowered to 36%, no more fuel. Health 37%. I sleepwalk the night alternating 1h sleep and waiting for my tempbar to die outside. At -46°C air temperature, it’s quite fast. You almost got wolf ninja'd, I know that feeling of ohmahgawdwheresmahbow? That's exactly it, a chance the rabbit I was driving ahead avoided a complete panic! By the time the wolf would have attacked me, I had my bow in hand, but I'm not a good shooter on charging wolves. Continue my sleepwalking, it’s a beautiful sunny day but I’m more than 50% exhausted, so it’s hard to plan anything. At noon, strong winds and CF down to 22%. I feel the “awake recovery rest” is reset every time you wake up from sleep, so sleepwalking is actually worst than what I thought: even awake, you don’t heal if not awake for at least 1h. Double calorie sink. So on sleepwalker mode there’s still an incentive to sleep long stretches to lower the “damage” of sleeping. Good to know. Repair the boots (2h10): +2°C protection (total+21). It’s evening, but strong winds and snowing. Just before nightfall, it’s my chance: FL-15. I head in a beeline to the wolf carcass: if the other wolf is here, I’ll scare him with an arrow. On site, match-torch-fire at nearest possible place, unshielded of course, but that’s a risk/reward question. And also about finishing the clearing of CF. And also about being proud. I drop a coal just before getting hyporisk. After warming up with a sacrified Rose Hips tea, I run to the carcass to quarter it. Damn, cannot be quartered above 75% frozen, you kidding me? This is ridiculous, the guy is on a slope! And I have my Catherine, come on she can cut cargo containers and not a wolf?! I grab some steaks with the harvesting function (it makes absolutely no sense), stop before end of temp bar. I’m angry at the game. I decide to reload, and I’m honest about it. 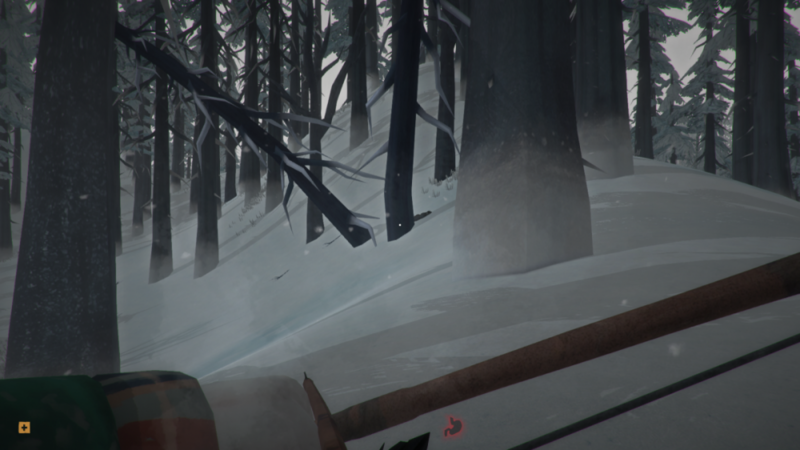 Can’t understand this “freezing level” limitation on quartering a carcass you can’t warm up, it just feels like a joke... Can't lose fuel on a broken game mechanic. I go for a sticks run instead, which gives 0 sticks… a very pleasant day indeed… I renew the sleepwalking until midnight and clear cabin fever. 44% health, I feel much better. Repair the deerskin pants (still+21, but the decimals…), Cabin fever is back. In the warm evening, I go for a stick run towards the Pond, it’s so warm (actually, it’s the repaired clothes) I can push beyond the hill, and I see a deer. I drive it back to Trapper’s, while grabbing the sticks. And just before hypothermia, I take my chance, it hits. But I have to go inside, I even leave my arrow there. Quick warmup, go grab my arrow, but I’m exhausted: I can’t process the carcass, that’d be suicidal. It will be done tomorrow. In the meantime, I sleep for 7h on calories, then 4h starved. 44% health, blizzard in the morning, of course…. Repair my second thin wool sweater (still +21°C, still the decimals…) At noon, maglens fire near the carcass, I won’t put coal I think, just sticks thawing while waiting indoors, then come back and quarter it. Due to lack of non-coal fuel, I loose 11% to freezing while quartering…, but being fed 11 hours in a row with so much meat will not be difficult and makes the operation a good decision. Warmup a bit, new maglens fire, cook the rabbits while harvesting the bags, then the venison. Wake up around noon at 40% health, finish frozen Angler. Nice fog, I want the cloths at Camp Office, and the cattails, and wolf pelts. I leave on full stomach, and I take my 4 snares for the Overlook. There’s enough cooked meat here for when I come back. Of course 2 wolves are patrolling my path, I loose 5% to cold for the detour, and an ankle. Camp office has lots of cloths now that I have a knife, plus I left 10 before leaving. I repair my thermal, +22°C bonus, all these decimals paid off! There’s also 65 sticks stock, and 5L water. Thank you BareSkin11 from the past! Despite the ankle, I go drop my snares at Overlook once warmed up. Drop them in front of the cave, go warm a bit inside the cave, and back to the Office. Wake up starved (33%) and eat one of my last 7 cattails stalks, repair combat pants and wool scarf (+23°C bonus), the tackle gets ruined on the second one. At noon, heavy fog, I go check the lake for some cattails, I find 4 of them. That’s exactly the place and weather BareSkin 7 died in. Creepy. Craft a line, harvest the toolbox: new tackle. Mid afternoon, still heavy fog, I go check the traps: 1 rabbit, I come back to the Office smelly. Transform the curtains into cloth, then I feel the urge to go back to Trapper’s where all these calories are waiting for me. But I have what I came for: a fresh gut and a wolfy place. I need to be patient, I can survive one more night on cattails. The fog lifted up outside: I go on the lake to the first cabins on the right, with 2 bars of Scent (1 harvested rabbit). Wolf appear when I’m near the first fishut: that’s now or never, he’s alone, it’s a warm evening. I drop all the smellies inside, light a match-torch fire under a caressing snow. I aggro the wolf, take my shot, hit it but it goes away. Of course just after I drop a coal in my fire, blizzard kicks in and kills my 2h30 fire. 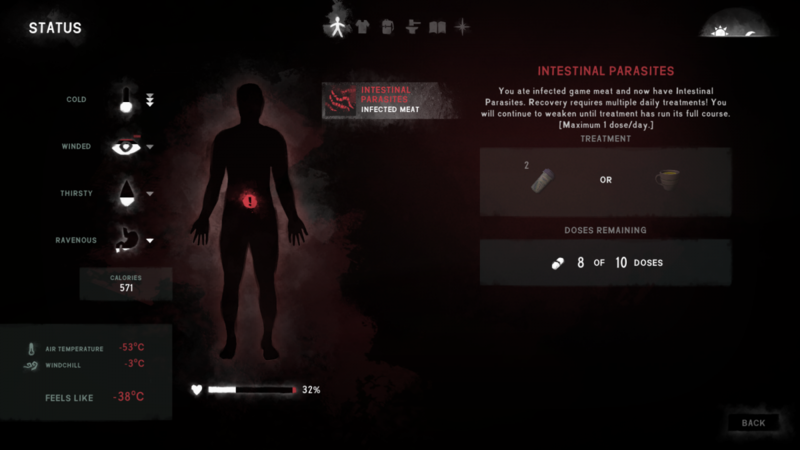 I run back to Camp Office, but lose 4% health. 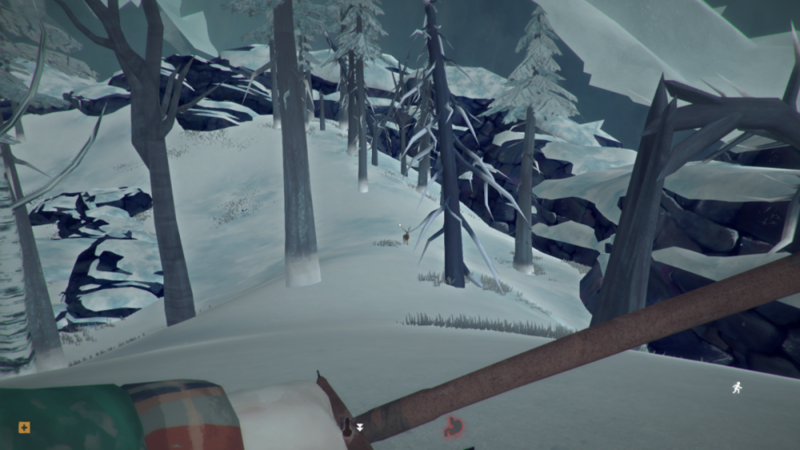 My journal says only 1 wolf kill (Max's one), which means I lost lost an arrow for nothing. I craft 9 more hooks. That’s a no-moon night, can’t go check the snares when the blizzard dies around midnight. 28% health, before dawn, I go to the snares in the cold temperatures, it’s foggy so no winds, and maybe I could eat there? 2 ruined snares, 1 rabbit, not so good. The cave is warm and I harvest there, the rabbits and the snares. Sleep 1h to warmup, on my way back, a live rabbit! I take some time to snap it, then run down the hill, I fall and get a double sprain + lose 3% health. Grandma’s fog evening, rinse and repeat: I head towards the first fishut very smelly, 2 wolves are coming. After 7 arrows, there’s no wolf left on this part of the lake. I still have a 1h stick fire I need to move in between the 2 carcasses, which I had the good idea to try to kill at the same place. First attempt with match-torch fails, god it’s really cold in here, don’t do that twice, please. I lose 12% to cold damage before being able to drop the coal. Down to 16%, it’s going seriously low… but not a death sentence with all these calories lying down. Of course just as I drop the coal, blizzard kicks in again… you serious?! That must be the Combat Pants… I Hate the world. I needed these calories so much! But I have to think quickly. Warm up my last tea, and start to run back to Camp Office, just in case I have a chance to save my life. Not sure about it, but you have to try, right? In my bad luck, the winds push me towards the Office, I arrive there with 12% life, it took 10 meters of sprint for the blizzard to shake off my warmth bonus from the tea. Situation assessment: I’m alive, indoors, no cabin fever risk with a 1200 calories stomach and not exhausted. I don’t move to save calories, deploy the bedroll downstairs. I pass time the first half of the night and heal to 15%, alternating indoors and outdoors. Then I sleep from midnight for 9h to push my survivor deeper into warm hours of the next day, which he will start at dawn, starved, and on a 5h life expectancy. So, what now? It’s mid-morning, my stomach is empty and I’m at 15% health. Outside, you ask me? Let’s go check… FL-27, heavy fog. I left 2 snares at the cave, maybe they worked? A bit risky: if there’s no calories up there, I’ll have to spend a lot of time in the cave for warming up while starving. Or maybe with a full temp bar I could go again at the wolves and drop coal before freezing? Not sure about it. But the calorie presence is guaranteed. I grab half my sticks stack, I decide I’ll wait until noon and try find my luck where I lost it: the wolves. Oh wait, I have 3 cattails I grabbed yesterday! That’s enough to sleep until mid-afternoon. I could also go back to Trapper’s and all the steaks I have there. But that would be less fun. Outside, it’s a bright day, I take it as the game helping me and decide to go right side, to the wolves. 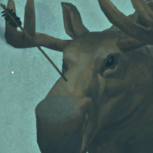 Maglens at the campsite, grab all my arrows back, except the one I shot on the wolf that didn’t die. 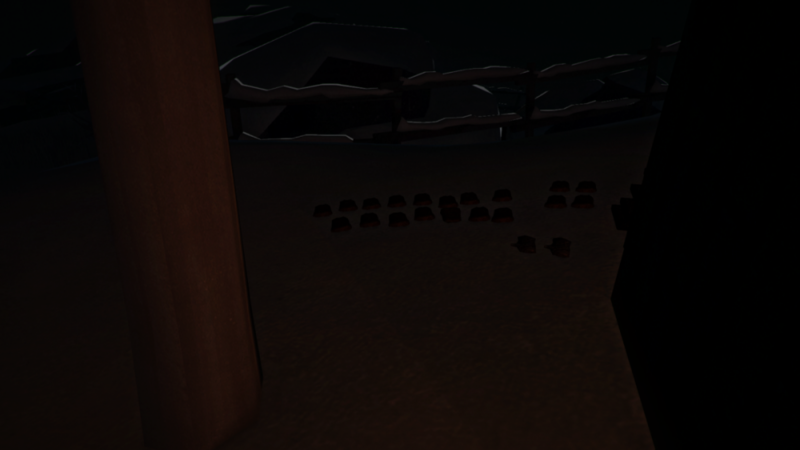 Drop sticks, hide in the hut to wait for the fire to be able to accept coal. Medium winds, but no clouds. 13% health when I drop the coal. Start hacksawing a .5kg wolf meat to end my starvation asap, then hacksaw 1kg chunks. When I finish the first wolf, snow starts. I decide I’ll quarter the other one. Skin the first one while waiting the steak to finish cooking (20m w/ knife, blizzard didn’t kick in). 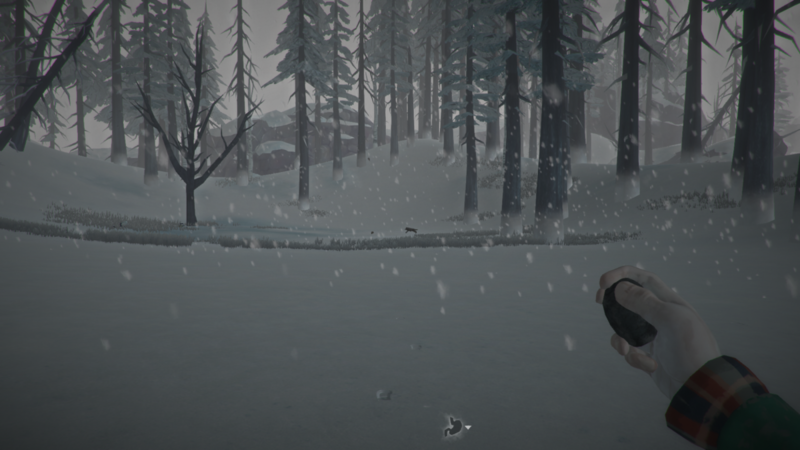 I used the knife again to quarter the second wolf, for once everything goes fine: when I finish quartering it 1h later, the fire is at 11min, the blizzard is not here yet. Grab everything I can and leave for Camp Office. Job done! I come back with pelts, guts, cooked meat, and my life. Once inside, eat all the big wolf steaks to make the Parasites risk worth it before I can eat anything else, then drop the pelts and guts. End up with 19% parasites for a bit less than full stomach. It’s a risk I had to take, anyway cooking level 5 is too far. I have to harvest the bags, they’re already at 47%. I use my hands, it takes more calories but it’s not a short-term problem for now. Once finished, I wonder if I should go check the snares, but it’s to late, when I’ll be up there it’s gonna be pitch dark. I pass time until I need to sleep 9h. 22% health! It feels like 100%! Still 800-ish calories in my stomach and it’s nearly noon, I re-craft the 2 snares that were ruined. No maglens possibility, I go to the snares: 1 ruined, 1 rabbit. I place the 3 snares again and harvest the rabbit in the cave. Maglens becomes available once I’m back in the Office: perfect timing to cook all this raw meat. Eat only the small rabbit quantity while cooking, to let the parasites risk clear out tonight, hopefully. And that’s exactly what happens. Finish the day at 27% and all my meat cooked, plus I cleared parasites and fought cabin fever. A very good day indeed. Before midnight, I risk the parasites again (9%) before going to sleep. 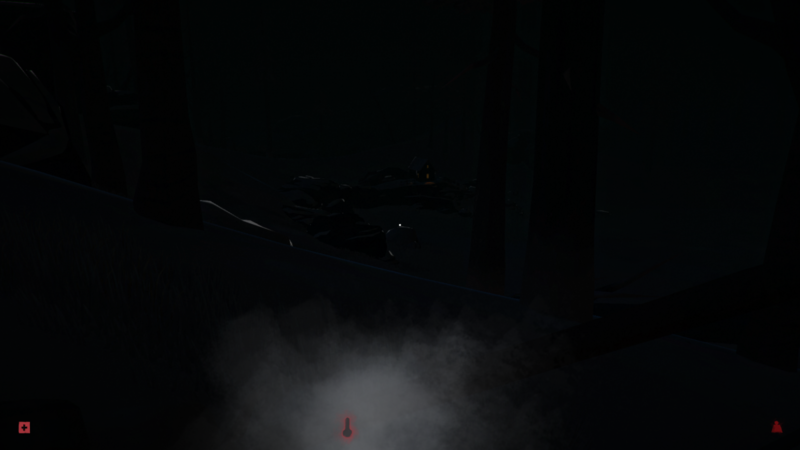 34% health, I wake up around noon, I craft a new snare then go check the ones at Overlook: as usual I find a ruined one, and only one rabbit, that I process inside the cave. Back at Camp Office, I grab some wolf meat, it’s already the evening and I’m in a pre-blizzard weather. I don’t eat and will starve a bit, waiting for parasites risk to clear before eating again, couldn’t cook any rabbit today. 37% health when I start starving. Cabin Fever is back. I sleepwalk 1hour and contract intestinal parasites from the 9% risk (Day 66= devil’s day). I’m doomed (again!). Having an affliction that makes you constantly tired, for a sleepwalker, is harsh. I check all I have about curing it: nothing. I eat all the wolf meat I have, and I’ll move to Trapper’s as soon as weather permits for the stocked calories I have there. I eventually decide the best time is right now, or after I’ll be trapped in Fatigue. 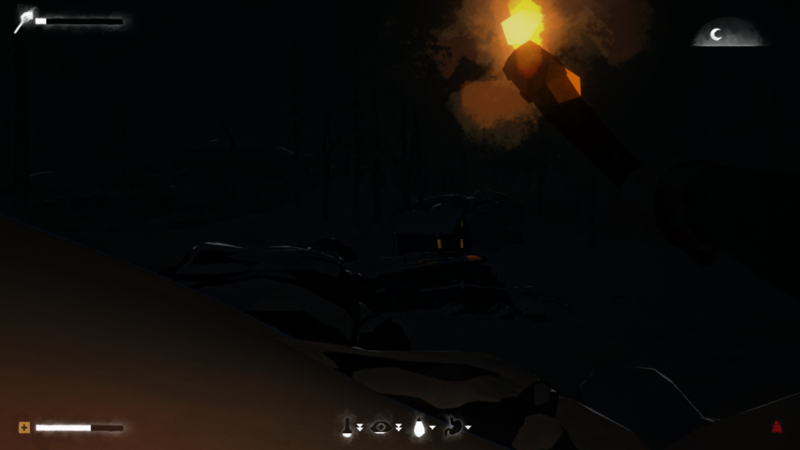 I move in the night and lose 3% health to cold before warming up in Milton Cave. Once in Trapper’s, I sleep 9h. The situation assessment will be for in-game tomorrow, in daylight. Same judgment in real life, I'll have more brain tomorrow. Wake up around 10am, 32% health. I have no snares here (I left them at Lake Overlook...), so no need to check. 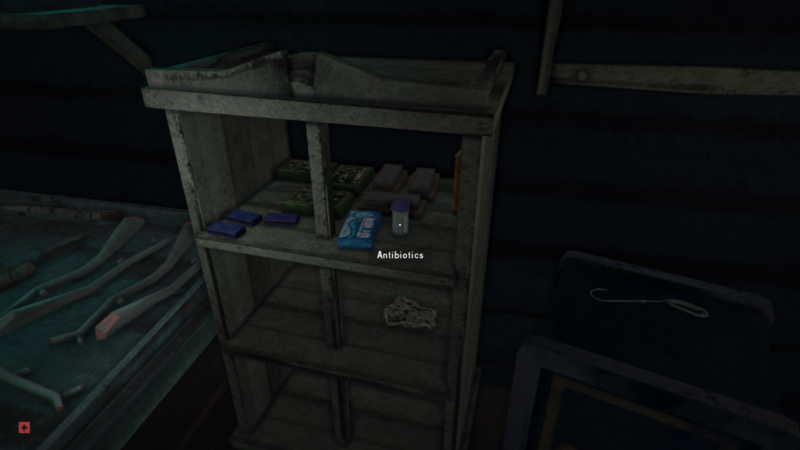 In the locker, I find no reishis, but on a shelf I find 4 pills. I immediately take 2. I have to at least try to survive. So, I need to find 8 more doses. Shrooms are usually present near DeadFall I guess, and behind the logging camp trailers. I will have to live there if I want to survive. The fuel, I will find on my way. The calories, I have some and I will take them away with me. I take 32 more matches I had stocked. Oh, I also have 2 prepared reishis on me, so that's only 6 doses to find (12 shrooms). In the workbench drawer, I find 5 reclaimed, I also have 5 guts that have cured while I was at Camp Office: I’ll turn the 5 of them into snares in order to find some rabbits when I’ll be back. One more prepared reishis and 1 shroom in the safe, that’s already 5 doses I found, only 5 left (9 shrooms). I also take the 4 aqua tabs I have, 5L of water. There’s no hurry anymore, I have 5 days left before running out of doses. 3 coals in the plastic container: I take them and exchange my 22% torches for better ones. I spend my tempbar outside before crafting my first 2 snares. Spend my next tempbar outside placing them and short sticks run in the nearby hills. 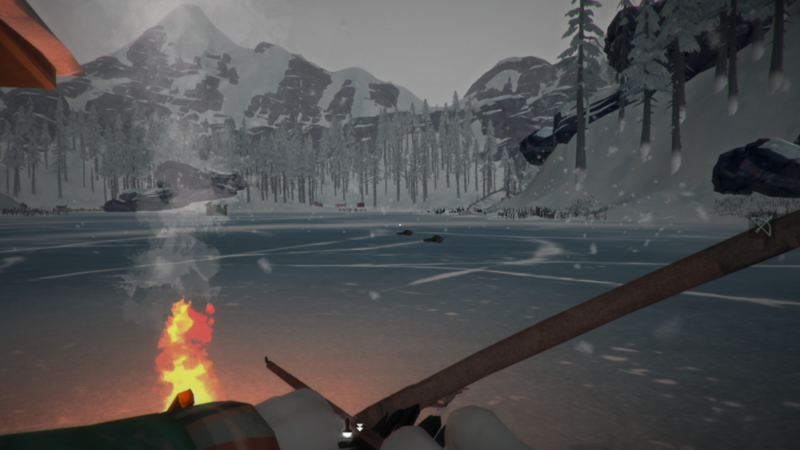 I want to take every stick before leaving, because that’s one of the reasons why I left to Camp Office (fuel shortage), and I want them to respawn asap. 2 more snares, outside is FL-17, no winds, light snow. I feel the weather will soon be very favorable for traveling. Spend my tempbar outside checking the situation at the second rabbit place (1 deer, no wolf). Sleep 2h at mid-afternoon since a blizzard kicked in. I don’t make the fifth snare, want to keep 1 cured gut available. I feel like “you will weaken until treated” is not about fatigue like for food poisoning. My Fatigue seems just as usual, so maybe the affliction is less “dooming” than I thought. 32% health, but there’s a small red bar like for Frostbite. Not that a sleepwalker cares about it care anyway… but also, the Fatigue “maximum” is decreased, and that’s obviously not because of starvation. If both go worse and worse with time, I’d better move rapidly get the shrooms and lay down at Trapper’s until treated. It also seem I’m stuck at 32% health, made a total of 2h crafting without any recovery… No travelling for tonight because of blizzard, the 33rd. Repair my thermal, it’s not needed since it’s at 70%, but I have tackle, cloth and spare time. I will need everything to be at its best when I leave this place. Your adventures make for a very good read! Keep them up. I'm sure many others enjoy them also but are shy to post. Absolutely! Fingers crossed for the sleepwalking BareSkin 11. I'm sure many others enjoy them also but are shy to post. That's nice from you, but I'm sure my lack of writing skills in English are part of the equation . Also the fact that's it's not live, the next one I'll do it real time since this topic is not anti-tips. I think of all these reishis I used for warmup bonuses... 3 rabbits and nice medium fog. Harvest them completely, since I don’t have any pelts and guts left after the last ones I use for repairing the Mitts before leaving. +23°C bonus after the repairs. I then take my treatment, last 2 pills. FL-15 at noon, if the weather stays nice like this for 2 more hours it’ll be the perfect time to leave. I head to second rabbit place, no wildlife and the weather is nice so I push towards Deadfall for the shrooms, I know they’re still here since I hate this place and never go there. I find 15 sticks on my way. 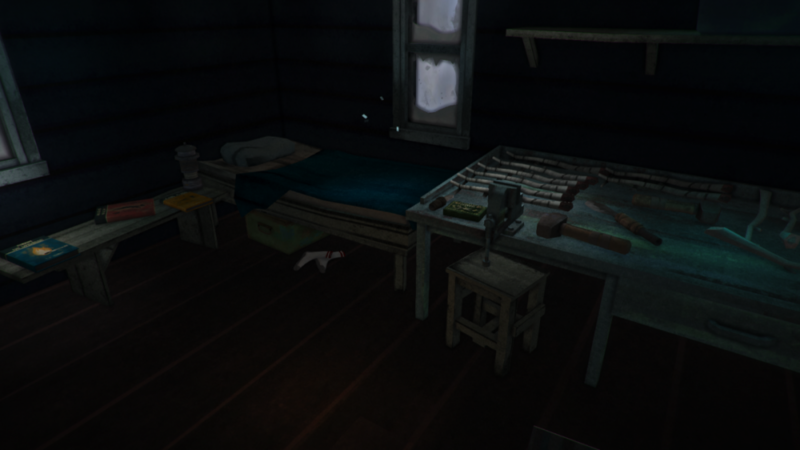 See lots of shrooms, go grab them (didn’t count how many), then go into the burnt shack and start a match-torch fire. While fire is starting, I even tell myself I might not even use a coal, since I have +15° in sticks and the temperature are still rising. That’d be a real hold-up! The sticks put me at FL+1. Those repairs, I was right to make them! Grab the nearby cooking pot and start making my two next antibiotics doses. Open the backpack: 7 shrooms collected, total8 = 4 doses. Hum, took 2 already, 2 more being cooked makes 4, plus 8 shrooms makes… 8. Not that bad. In the end it’s 9 doses I have, no idea how I became really bad at maths. Did the first flare also burn my physicist brain? Light snow, I keep a rose tea hot for when the blizzard will kick me out of this place. I need to find 2 more shrooms and I’m quite sure I can find them when leaving the house. I pull torches before being warmed up, I’m in the best hours and there is light snow, light fog, no winds. Drink the tea and say bye bye with cleared cabin fever. I torch-chain to Trapper’s, and can’t believe I make it there without cold damage. 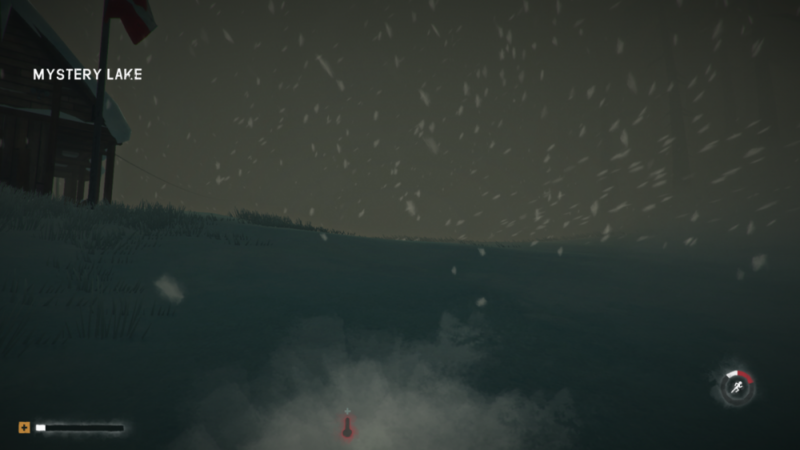 Blizzard kicks in 1h after I arrive, just when my fire would be dying if I stayed in the shack. I need to find 2 more shrooms, I’m sure there’s some at the pond, and I have many days I can wait for good weather to go there. I put the reishis in the safe, never had anything more valuable. Wake up of course still at 32%, I’m on deadman-style for 10 days. 2 rabbits snared, -53°C outside, can you believe it? OK, the red chunks on health bar and Fatigue bar definitely grow larger with time. Nice medium fog at noon, I hesitate to leave but prefer waiting two more hours. I sleep an hour, FL-15, let’s go: the trip is nice and warm, no trace of any wildlife, I arrive at the Pond with 21 sticks and find 3 shrooms, head to the pond cabin for warming up in bed. Late Loper: emptiness. Loneliness. You'll even regret the wolves. 1h sleep, stick run (+17 sticks), FL-10, I’m sunbathing. I start a nice 95% maglens fire (which of course fails), only to warm up my freshly brewed reishi dose before leaving. The gods like me today. The weather is so nice I ever go grad the cattails in the pond! Incredible! I even snap 2 rabbits and saw 5 birch! OMG, what’s happening? Am I dead, dreaming?! Back just before freezing. I’ve never had such a perfect day! I’m back with 47 sticks and 12 cattails, 7 doses left to treat and I have 7 teas in my safe. Still 32% of course. Morning snowstorm, harvesting rabbits inside/outside. Sunny noon, I maglens a metric ton of raw rabbit meat (worst is at 33%) and take my daily dose of shrooms. I pray that the winds don’t turn. I spend all afternoon taking the best advantage of the sunny and very windy day. Once the fire is over before dusk, I take a torch and go check for some wildlife : no sign of any life. I sleepwalk switching indoors/outdoors the whole night. Still 32% of course, routine treatment day. While on a routine run, I hear a wolf howling – is it close, maybe at Max? I warm up in the Milton cave while looking for coal (find one). Drop my last piece of cooked meat at cave entrance before going to check the wolf place. When I think there’s no trace of wolf and the howling must have come from the railroad, I see a wolf patrolling on the edge of the hill to Trapper’s. Problem is, I could lure him, but it’s pre-blizzard time. 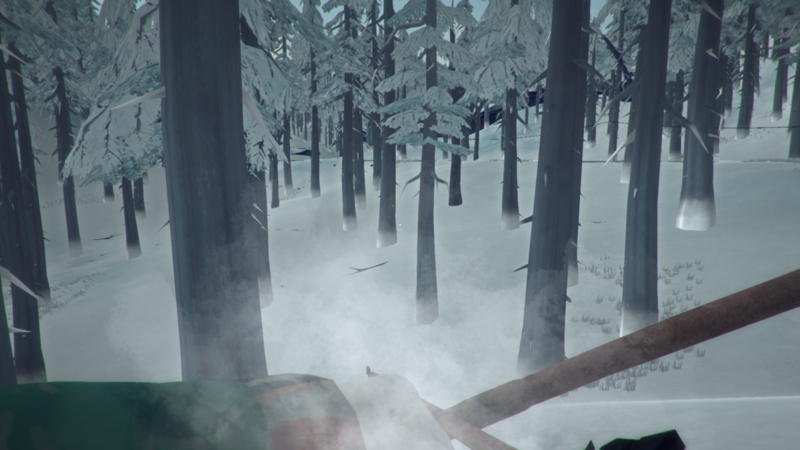 After 1h sleep, the blizzard is over, I head to the burnt haystore where the deer carcass spawn with 3 rabbit carcasses on me, 20 sticks and a coal. But the wolf already disappeared. Maglens cooking and my daily dose.